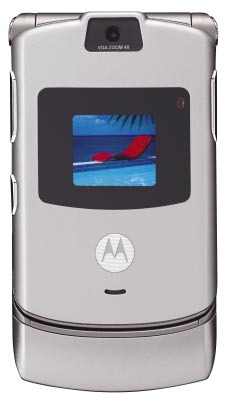 Motorola today announced the RAZR V3, a super-thin handset that still packs heat. It's just 14mm thick (about 1/2") and is made out of titanium. * Built-in camera * Bluetooth, * 2.2" 262K color main display, 4,096 color sub-display Look for the Motorola RAZR V3 in September for around $700 US--no one said thin is cheap. Update: A promotional video of the V3 in action is available here. 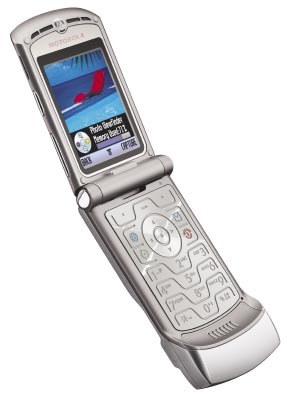 Pictures of the Motorola RAZR V3 are available after the jump.